If you’ve struggled all your life with weight problems, you probably already know what yo-yo dieting is. For those unfamiliar with the term, it’s also called weight cycling. That means that you lose weight, quit dieting and then the pounds return and sometimes bring friends to create another bout of dieting weight loss and ultimately weight gain again. That up and down weight resembles the action of a yo-yo, which is how it got its name. The weight loss/weight gain cycling plays havoc with your body. 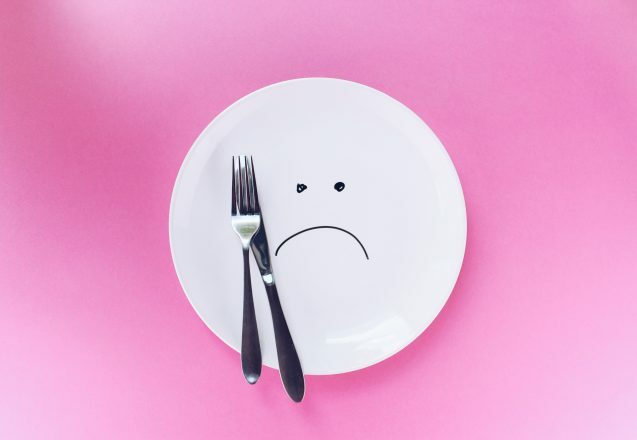 Not only do you have a closet full of clothes that can range from your overweight self size to the ultimate goal size, yo-yo dieting has other side effects that affect your health. While your blood pressure will go down as your weight goes down, that pattern also follows when the weight goes back up again. On the next round of weight loss, if yo-yo weight loss occurred, you don’t get that same drop in blood pressure. If the weight is kept off, eventually it will drop, but it takes quite a while. Yo-yo dieting increases the risk of diabetes. People with a history of yo-yo weight gain and loss have a higher risk of developing Type 2 diabetes. Abdominal fat, also called visceral fat, is the worst possible type of fat. It crowds the internal organs and increases the risk for many diseases, including diabetes. When people regained weight after losing weight for a month, the weight returned as abdominal fat. For those people who actually gained back more weight than they lost, the risk for diabetes is increased even more. Even though you gain back fat, you normally lose muscle. When you’re cycling down, most of the time, people lose muscle mass right along with some fat. On the up cycle, people tend to gain fat easier, especially after a cycle of weight loss. The body is hording food for the future. That means that people who are subject to yo-yo dieting often have a higher body fat percentage, which includes a higher percentage of visceral fat. While you can lose weight by making lifestyle changes, most of the time that normally doesn’t occur. Strength training can also help reduce this problem. Fatty liver can occur when people have cyclical weight loss. It can increase the risk of both diabetes and chronic liver failure. The size of the weight swing makes a difference when it comes to coronary artery disease. The more weight lost and then regained, the higher the risk for heart disease. In fact, it might even double the risk if the weight lost and gained is large. Rather than diet, eating healthy is a better option. As noted already, diets don’t work because they always end. Eating healthy never ends. It simply means choosing food more wisely. Adding regular exercise to healthy eating not only helps you lose weight faster, it also helps reduce other risks, such as muscle loss. Thinking about good nutrition for the holidays isn’t normally at the top of the list. That’s especially true when a coworker brings in those delicious treats or your standing in front of the dessert table at your holiday get-together. Everywhere you turn there’s something tempting to buy. It’s especially true when you’ve skipped dinner and opted for shopping first. You’ll often find bags of holiday treats in your cart and eat them in the car on the way to your next stop. Stop! Put down that box of pastries or that bag of candy in holiday shapes. Prepare for it, lest you fall in the trap and destroy everything you’ve gained over months. It all takes careful planning. Staying healthy takes planning. It should include making sure you get adequate sleep, schedule in exercise time and finally, planning healthy nutritious food for the holidays. That doesn’t mean you have to have a detailed program, just keep a few things at the top of the list as you plan for the week. One very obvious thing you can do is to take healthy snacks to work. Fresh fruit, nuts and other healthy snacks also make a nice surprise for the office goodie table. If you choose not to buy for everyone, keep these snacks in your desk to help avoid eating a dozen cookies or those delicious puff pastries. Learn to choose and eat healthy foods first. No matter where you’re eating, whether it’s at home, in a restaurant or at a friend’s home, there’s always something healthier on the table. It might be a salad or side vegetables. Fill your plate with the healthy options and choose smaller amounts of unhealthy foods. You can eat some unhealthy foods, just don’t make them a whole meal. This is the holidays, after all, not part of your daily eating pattern. You can have some of the goodies, just don’t fill up on unhealthy food first. Start with the healthiest so you’ll be filled up when you get to the high calorie options. Drink a glass of water before the meal and eat a meal before you leave home. Some people save their appetite for that big holiday meal. Nothing could be more dangerous if you’ve been shedding pounds. Cake looks sweeter, mashed potatoes look better and that stuffing….OH MY! That stuffing looks delicious. You can use two tricks to help you cut back on food. The first is to eat a healthy meal before you leave your house, so you’ll be less hungry and less likely to graze. The second option is to have 16 ounces of water 30 minutes before a meal to curb your appetite. If you bring a dish for a holiday celebration, bring a healthy option that can be used for grazing. Everyone will appreciate it. Plan an activity after a meal. A walk can be especially good, since it provides some exercise, gets you away from the table and can help prevent overeating after the meal has ended. Eat slowly. Not only will it help your digestion, since a lot of it takes place in your mouth, it will also give your brain time to recognize you’re full, avoiding overeating. Make smarter choices. Pumpkin pie is lower in calories than pecan pie and has far less sugar. Drink wine spritzers that substitutes club soda for some of the wine and calories. Choose white meat like the breast of the turkey and skip the skin. Are you confused about what to get a loved one for a gift. It’s hard to get a gift for someone who seemingly has everything or whose real desires, like a Ferrari or Lamborghini is out of your price range. Maybe you should give the gift of health. 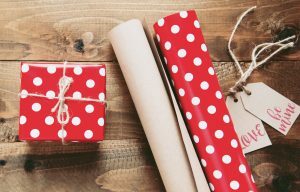 Here at Next Level Fitness and Next Level Wellness in Irvine, CA, we have some ideas that might help you find the perfect gift that will keep on giving throughout the year. Give a gift certificate for massage therapy. Massage therapy can do so much. It can help provide relaxation, take away stress, increase circulation and help take away achy muscles as it helps with inflammation. If your loved one has problem areas or conditions like arthritis, it can help bring relief. Even an athlete will appreciate a sports massage. We offer several different types and you could allow your special person to choose how to which option to choose. Whether your special someone wants to smooth out their cellulite, help get out the aches and pains or just feel better and more relaxed with a treatment, the Synergie Spa has something that helps everyone. It offers body wraps, aromatherapy, supplements for detoxing and weight loss. You may even want to get a far infrared sauna treatment with them. Not only does it provide a detox, it helps relieve stress and fatigue. It also helps joint and muscle pain relief, provides heart health benefits, immune system support and improves metabolism. Maybe some time with a personal trainer could make your loved one smile. 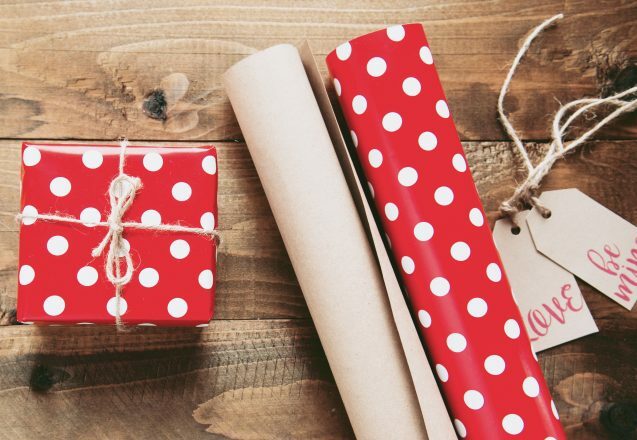 You might tread lightly with this gift if your special person is sensitive about their weight. However, you can give them something better than just time with a personal trainer. You can give them time with you and a personal trainer. Make it a joint effort to start the new year right with a program of healthy eating and regular exercise. You’ll both be glad you got that gift. Short on cash? Not a problem. Start with a gift certificate for your services. Make the gift one of healthy meals for the next six months with you doing all the shopping and cooking. Start a new hobby or interest that involves exercise. Get a bike for each of you, start hiking or consider rock climbing. If you want something tamer, give a gift of weekly walks to areas of interest around Irvine. Check out some of the chiropractic services. Your special someone will love how they feel after they’ve experienced our help. No matter what gift you give, make it one that enriches your loved ones life. If the gift involves you spending more time with them, all the better. Relationships, caring and love are what the holidays are all about. If you’ve ever been bed ridden for a while or had an injury that limited your activity, you probably already know that physical therapy works to help get you back to normal activity by building your strength and improving your range of motion. It also has other applications that can help improve your life and well-being. While it’s often aimed at getting you back to your prior level of activity, it can help you to make the changes necessary for a healthier lifestyle, too. Physical therapy can help build core strength. Having a strong core is a lot like having a good foundation on a home. It’s the body’s foundation. Just like on a house, where it could cause a collapse of the structure, a weak core can leave you susceptible to future injury. It helps posture, overall strength, balance and even helps weight loss. Stronger core muscles helps relieve back pain, improve posture and can even help improve breathing. You’ll walk better and be less prone to falls with the improved balance core strength brings. Breathing problems, cardiac issues and other health problems can be helped with physical therapy. You probably already know that many people receive physical therapy after a cardiac incident or lung issues. It helps clear the fluid and builds strength to get back to normal daily activity. Did you know that physical therapy can also help control diabetes? It not only helps improve blood sugar levels, but can also help with vascular conditions. Physical therapy can help you prevent future injuries. Preventing future injury is more than just improving your balance and preventing falls. It’s relaxing tight muscles to help them work more effectively with joints, which can improve overall functioning. If you’ve had previous injuries or scar tissue building from surgery, this stretching can help ensure it won’t prevent you from getting back into full functioning. Physical therapy can help you after a tough workout. There are various techniques used to help relieve the pain and stiffness after working hard, such as ice and heat therapy, Fascial Integrative Treatment, Active Release Techniques, Fenzian treatment and many other treatments to address issues. You’d be amazed at the different issues physical therapy can address. It can even help insomnia and tooth grinding that affect both your health and appearance. 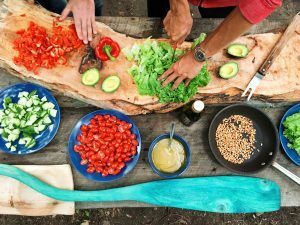 Part of physical therapy that most people neglect is the effect of a healthy diet can have on specific problems. Pain is often a whole body challenge and can be helped through many techniques. You’ll not only deal with your issues at physical therapy, but will be give help to continue working on it on your own. 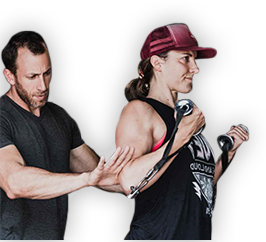 Through specific guided exercises and stretching techniques, you’ll be in charge of your body and control or eliminate pain, not allowing it to control you. There’s no reason to allow pain to take over your life, when there are many ways to not just control it, but in some cases, eliminate it permanently. If you’re missing out on important functions or all the joy life has to offer, finding the right techniques is important. Don’t assume you’ll always be limited by pain or need to take medication that makes you drowsy and less alert to control it. Alternatives are available that will enhance your life, not just dull your senses. You’ll feel better with exercise. You might not think that working out is the best thing to do if you’re in pain, but it all depends on the reason for the pain and the condition. The body creates its own natural pain killers when you workout, called endorphins. Exercise has been found effective in reducing the pain from arthritis, fibromyalgia and back pain. It strengthens core muscles to help the back, increases circulation and improves strength and flexibility in the joints. The Frenzian treatment can help. This treatment was specifically created to help with pain by a surgeon in the UK. It produces electrical impulses to stimulate the nerves. It’s been shown to help improve not only chronic back pain, but also has proven helpful for osteoarthritis, plantar fasciitis, fibromyalgia, muscle injury, TMJ, tennis elbow, neuropathies and reflex sympathetic dystrophy—RSD. Best of all, it’s non-invasive and treatment only takes from five to ten minutes. Consider Active Release Technique—ART—for pain relief. ART is good for a number of conditions, such as carpal tunnel syndrome, shoulder pain, sciatica, back pain, headaches and other conditions that come from the overuse of muscles. Those injuries cause microscopic tears in the muscle tissue that accumulate. Eventually, scar tissue forms and that causes a host of problems, such as weaker, shorter muscles, trapped nerves and tendonitis. ART works directly on that scar tissue. Besides causing pain, they cause loss of flexibility and strength in the area, often producing numbness and tingling. Massage therapy helps reduce pain several ways. It relaxes all the tendons and muscles in the area of the pain, helps reduce the stress that occurs with pain and can help diminish the pain message from the brain. FIT—Fascial Integrative Treatment—is a form of muscular manipulation that treats soft tissue adhesions. It has a three-pronged approach, first breaking up the adhesions, next getting back normal tissue flexibility and finally restoring the area injured back to normalcy. Spa treatments aren’t just to make yo more attractive. Many of the treatments can also bring pain relief. A far infrared sauna, for instance, has been shown helpful in treating rheumatoid arthritis, headache and even chronic health conditions like high blood pressure and congestive heart failure. Most people love the option of using alternative pain treatment, including physical therapy. In almost all cases, these alternative techniques provide benefits, without the potential of side effects. Not everyone knows when you need a chiropractor or even if the symptom they notice starts with a back misalignment. For instance, some shortness of breath comes from just being out of shape. It can also come from serious conditions like lung issues. Asthma can cause breathing difficulties, but so can back misalignment. Most people use the services of a chiropractor to help improve the quality of their life by eliminating back pain. Your body is a moving, self-repairing machine. Just like any intricate machine with lots of moving parts, if one small part isn’t aligned properly, the machine won’t work properly. It can cause direct pain, impeded your daily movement and even bunions, knee pain and other referred pain can be the result of a misalignment. Just like any machine, if one part that controls the workings of another area isn’t working, the area it controls won’t work correctly. While you might treat the area of pain, the problem will return if it’s really located in the back. That’s like trying to fix the check engine light on the car, rather than checking the engine. You’ll find relief from pain after a vigorous workout if you go to a chiropractor. Sometimes, no matter how guided the exercise, you push a little too hard or workout a little too long and find yourself hobbling off the to the locker room in pain. That’s a good time to go see a chiropractor if one is available. A chiropractic can offer many solutions that will help reduce the pain. If there’s an injury or misalignment, the chiropractor can treat it immediately, helping the body to heal far faster than it would otherwise. Best of all chiropractic care is a drug-free, non-invasive method of dealing with pain, so there are virtually no side effects. Joint problems may actually lead back to a problem in the spine. 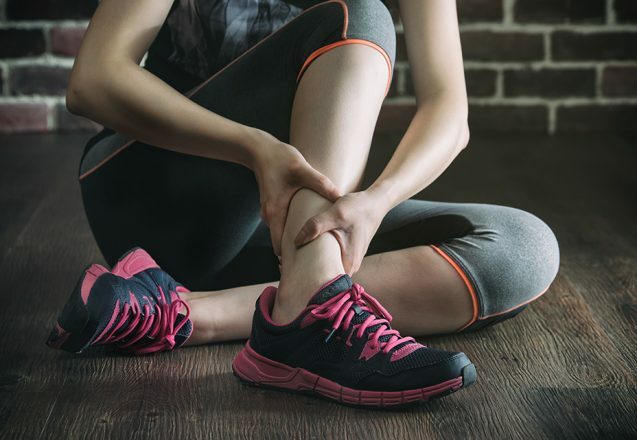 You may take all the precautions in the world to help avoid knee or hip pain when you exercise, but find that at the end of a workout, even when the knee is wrapped, pain still returns. That may be time to seek chiropractic treatment and identify whether the problem is really in the back, rather than at the knee joint. Your back health affects your posture and your posture affects your joints. Just like any type of health care, chiropractic services are personalized. You wouldn’t expect a doctor to recommend aspirin for everyone, especially those without a fever or headache. Chiropractic care can also be used to help reduce pain. Since the spine contains the nervous system, manipulation of the spine can often reduce pain dramatically. Athletes often use chiropractic care to help boost their strength and improve their performance. Pinched nerves, misalignment and other back issues can impede the progress of any athletic performance. Chiropractic sessions help improve relaxation and can be a huge boost to improved sleep. You don’t have to have pain to use a chiropractor. Sessions with one can even help reduce the tensions in the back for complete relaxation. If you’ve tried to make all the lifestyle changes necessary to get fit, but didn’t quite make it, it might be that you took on too much. You don’t have to do everything at once. 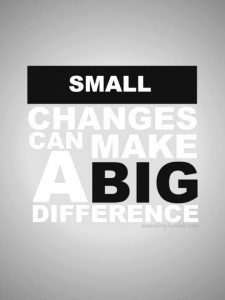 You can make small changes and start to feel amazing, but you need to make sure that you do each change enough to become a habit. Start with something that you know you’ll be able to do every day. It could be adding a fifteen minute walk to your schedule, substituting healthy snacks for unhealthy ones or drinking more water. After a few weeks, make another change. If you’re tackling a major change, stick with that until you know you’ve mastered it and only then add another small change. Increasing your exercise is a start. Nobody says you have to go into a full blown exercise program. Just increasing your activity is important. When you’re working, set your cell phone alarm to go off every 45 minutes so you make sure you get up, move around and stretch. Buy a pedometer and increase your walking by one hundred extra paces a day until you reach 10,000 steps each day. Add a routine of a warm up and stretching in the morning that’s quick and simple, but will get your blood circulating and loosen your muscles. There are so many beneficial way to change eating. You can make sure you’re stocked up on healthy snacks and have them ready when you’re hungry. 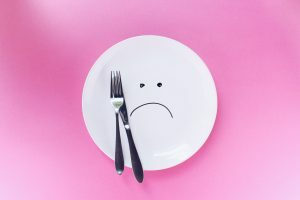 Try changing your eating times so you have intermittent fasting—eating everything in an 8 hour window and not eating for 16 hours, such a first meal or snack at ten a.m. and last meal or snack at 6 p.m. Cut out carbonated drinks and substitute water. You can make it something simple to follow, but more difficult to do, such as eliminating processed foods entirely. 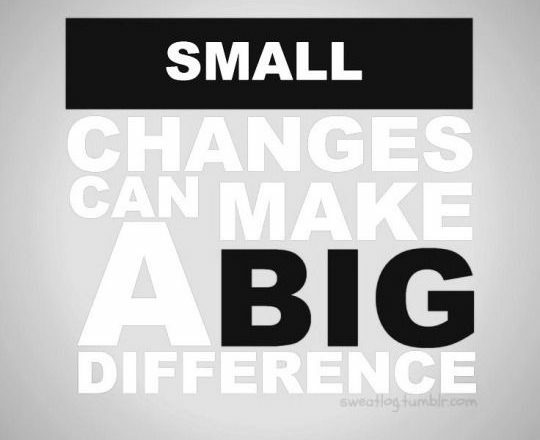 As you make one change a habit, make another healthy change. Your brain needs the time to process the day’s activities and your body needs time to heal. It’s done during the sleeping hours. Set a regular bedtime and stick with it. If you’re sleeping too much, you may need to seek medical help to ensure there’s no health issue. Set your alarm to get up earlier and use the time to exercise. Make sure that all electronic devices are shut off and that the room is dark, to get the most productive sleep. Increase your water intake. People don’t hydrate themselves enough and water is perfect for that. It has no calories and can help cleanse your system. Increase your water intake to two liters—eight 8-oz glasses—each day. More if you perspire a lot. Wean yourself from a bad habit. Start procrastinating when it comes to drinking, smoking or anything else that’s unhealthy and done in excess. If it’s smoking, wait an hour longer before you light up or only smoke half a cigarette. Better yet, quit altogether. Learn something new. Keeping your mind active is as important as keeping your body active. Learning something new is even better when it requires you to move more. Reach out to others. I love the idea of doing a random act of kindness each week. It’s good for the body and the soul. It doesn’t have to be big. Visit someone in a nursing home. Pick up trash along the beach or roadside. Buy a bag of food for a no-kill rescue or pet foster parent. Doing something good for others makes us feel good. It’s even better when we do it without fanfare. There’s an adage that you’re never too old to learn something new and it’s so very true. When you learn something new, you change the neural circuits and eventually create new neural pathways in your brain. Most of all, you renew your appreciation for life and enjoy new vitality. It’s the same whether you’re learning something mental or physical—or a combination of the two. When you take up a new sport, you’ll have to learn the rules, but you’ll also have to learn how to move your body for the different physical demands of the sport. Change your workout and get more from it. Learning something new to add to your program of fitness does more than just build new brain pathways, it helps you lose weight, too. When you do the same routine consistently, your body becomes efficient at it. That means it burns fewer calories. You have to continually ramp up the routine to get the same results. Changing your workout not only helps prevent boredom, it helps burn more calories and shed pounds faster. Find out the latest on nutrition. You’ll be amazed a how many ideas of healthy eating are no longer valid. At one time, fat was the criminal that robbed people of a longer life. Now it’s known that you need fat in your diet to be healthy. Of course, that doesn’t mean trans fats that cause damage. Sugar often got off easy. Today we know that it’s not only sugar, but even some sugar substitutes that can wreck the body. In fact, that diet cola that was touted as the low cal alternative is shown to add inches to the waist. 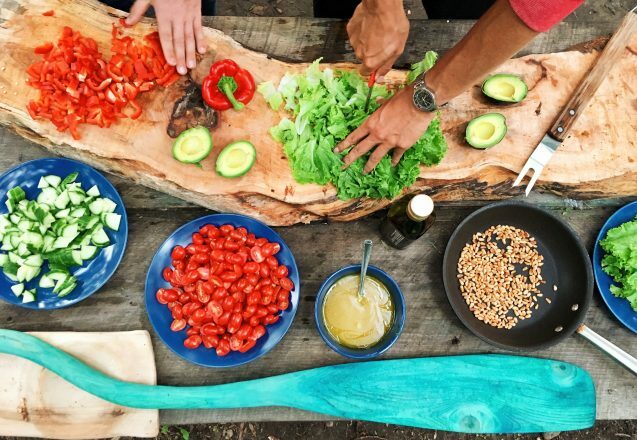 Learning new recipes that use whole food is a challenge, but one you’re sure to benefit from both mentally and physically. Learning something new is a way to find new things you enjoy and look forward to doing. You may never be a fan of golf, but find that rock climbing is a true rush. However, you won’t find that out unless you try both. Even activities that might not seem active, like gardening and treasure hunting with a metal detector, can get you up and moving when you otherwise might be glued to the TV. Having enjoyable activities in your life gives you a reason to get up in the morning….even on your day off of work. Never lose your curiosity. You may have seen and done a lot of things in life, but walked through the activities blindly. Start watching the world around you closely and ask “why” a lot. You’ll be amazed at how much there is to learn. Renew old interests. When you were a child, was there something you loved to do or investigate that was lost as you aged. Revive your old interest and start with a fresh eye. You may find it’s even more satisfying than you thought. Learn how to calm your mind. We always think of learning new active things that stimulate the mind, but in today’s society, learning to think of nothing and calming the mind is a more difficult task. It might be the new experience you need. Make new friends. Do something out of the ordinary that will have you mixing with others. Take a friend and experience it together. Journeys to new information are always more fun when shared with another. Too often I see people give up before they even try to get into better shape. That’s often because the hurdles they must overcome to achieve their ultimate fitness goals seem too great. It’s one of the biggest problems faced by people who have a large amount of weight to lose or someone that has undergone a long period of inactivity. The key to getting fit is to start with goal you truly believe you can accomplish. It may sound simplistic, but it’s true. You need to create a small goal first, achieve it and then move on to another small goal. Eventually, you’ll reach your ultimately goal that would have left you feeling overwhelmed had you started with it first. Baby steps aren’t bad, as long as you do them. 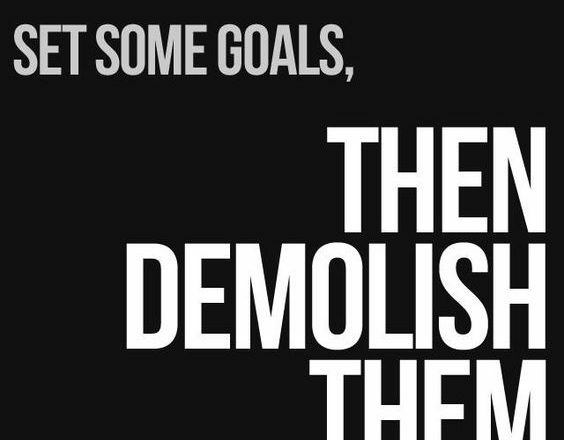 Big goals get big results. That statement is very true, but I find it also leads to people overdoing to the point of injury or giving up in frustration. 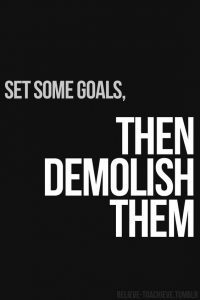 If you have 100 pounds to shed, go with the 10% goal for the month. You’ll get quicker result, which can keep you motivated to stick with your program, tackling the next 10%—-9 pounds. You may even change your goals and add other types of fitness goals along the way, but starting with baby steps is the first goal to tackle. Some people do quite well changing over to a healthy diet all at once. Others find they miss their favorite foods too much, break down and eat them and then throw the rest of the diet out the window. You can overcome this problem by making smaller steps toward healthy eating. Learn how to make substitutions that don’t change the flavor but add more nutrients or are lower in calories. Start with eating healthy three days a week, then increase it one more day as you feel comfortable. Remember, even if “goof” and slip up one or two days, it doesn’t mean you give up. Go back to healthy eating again the next day. Accomplishing small goals gives you more confidence. As you set small goals and achieve them, you’ll boost your confidence. Yes, small goals are easier to achieve, but they also get results faster. Fast results are super big motivators. Some people who come to Next Level Fitness have tried and failed so many times, they believe that they can’t achieve their goals. That’s just not true. By achieving smaller goals, they start building their confidence to tackle even larger ones and eventually achieve what they thought was impossible previously. You need to make your first goal challenging, but one that you can achieve quickly. Your goal actually may be to workout every other day for a month and walk for a half hour on the other days. It doesn’t have to be all about weight loss. Using a personal trainer can help you achieve that goal. Look to other things besides weight loss to accomplish. For instance, use body measurements, body mass index or the intensity of your exercise as a marker. Track your progress in the gym. Record the number of repetitions, sets or the amount of weights you lift. Set a small goal to be able to do more, based on your present level of fitness, the next month. Get a pedometer and track your steps. This is one of my favorite things to have people do outside the gym. Make your ultimate goal to get in 10,000 a day on your day away from the gym. Wear it the first few days just to identify how many steps you normally do. Most of the people that start a fitness workout do so to look and feel great. It may be to get into shape for their upcoming class reunion or to reap the health benefits. When summertime comes, the skimpy clothing and swimwear often reminds people that they need to get back to the gym and eat healthier. Is it too late to reap benefits to look great for summer? It’s never too late. In fact, swimwear often goes on sale in August, so you may even get a great savings when you need to buy a smaller size. You’ll be amazed at what you can achieve in just one month. While you won’t lose twenty pounds overnight, you can do a lot in just one month without getting drastic. If you consider just shedding two and a half pounds and week, losing ten pounds can be a breeze when you follow a healthy diet and a program of regular exercise. Both are necessary for weight loss. Losing inches is just as important. That comes from the exercise program. If you start today, you’ll notice that you’re at least a dress size smaller by this time next month. If you start today, you could be a whole new person in just two months. 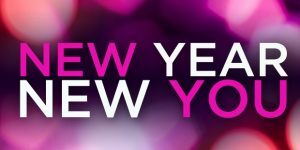 While there will be a noticeable change in your appearance and clothing size with just one month of faithful adherance to a healthy diet and program of regular exercise, as you approach the six to eight week mark, everyone will start remarking on the changes. Not only will you look trimmer and fitter, you’ll also have more energy and a glow to your skin. Not all the changes are about fitting into a smaller clothing size, some of the changes are about how great you feel and how ready you are to tackle new projects and live a more active lifestyle. Start shopping for new swimsuits and summer clothes. They’re far less expensive now. September is still pretty hot and you will be too if you continue this program. Just because the calendar says it’s fall, the weather in Irvine, CA still gets up to the high 80s. That means it’s still summer weather, with all the trappings of summer, like shorts and sleeveless blouses. Don’t worry about batwings or flabby thighs, if you started this program in June, you’ll have those conquered. Continue on with your workout and you’ll be fabulous looking for the holidays. Unlike many areas, where it’s super cold in the winter months, we’re blessed with weather that allows you to show off your figure more, all year around. No matte when you start your fitness program, you’ll get results worth showing. You’ll notice your mood improves when you workout regularly and eat healthy. Both provide great help for depression, PMS, anxiety and boost creativity. A program of regular exercise and healthy eating also provides other health benefits. It reduces the risk of serious diseases and even helps reduce the risk of age related vision problems. You’ll save money on future health care bills. One study by a Fortune 500 company showed that every dollar spent on preventative care, such as healthy eating and exercise, save $2.71 in medical expense later.